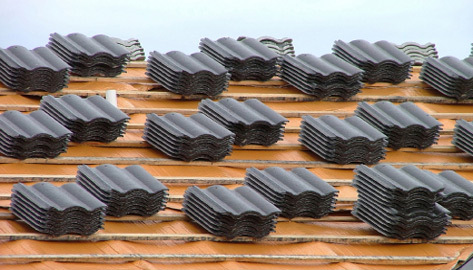 Currently, asphalt shingles are the most common roofing material used. However, many more materials are readily available such as sheet metal, wood shingles, cement tiles, and traditional slate or ceramic tile. Roofs that have a relatively low slope often have asphalt roll roofing, or coal tar roofing. Seeing that a roof is a very noticeable feature on the outward appearance of your home, choosing a roofing material might not be simple. Factors to consider while choosing a roofing material are cost, appearance, and practicality.